Vitiligo is a disorder of the skin characterized by the appearance of unsightly white patches on various parts of the body. Many people all over the world are suffering from this illness. Now, there were some doubts over whether Michael Jackson, the famous pop star, was indeed affected by vitiligo. Here we have come up with the answers to this question, which became even more pronounced after Michael Jackson’s death. All throughout his career, Michael Jackson’s skin tone gradually became lighter, and his nose and facial contours changed markedly. He also apparently lost a lot of weight. The main reason for his skin turning lighter, according to official reports, is that he was affected by vitiligo from the earlier stages of his life. Who diagnosed vitiligo in Michael Jackson? Deepak Chopra, a medical doctor and a good friend of Michael Jackson, was the first doctor to diagnose vitiligo in Michael Jackson in 1986. Michael Jackson’s skin was of the usual skin tone for African-Americans during his youth and at the early stages of his career. However, during the mid-1980s, the skin gradually turned whiter, and this was believed to be the result of skin bleaching. It fueled reports that he desired to have Caucasian features. These changes involved widespread media coverage. A biography by J. Randy Taraborrelli on the pop icon revealed the fact that Michael Jackson was indeed suffering from vitiligo and lupus. Vitiligo partially lightened his skin, while the lupus was in remission. Both these illnesses made Michael Jackson sensitive to sunlight. To treat these illnesses, Michael Jackson regularly injected a drug known as hydroxychloroquine directly into his scalp. This treatment made his skin even paler. He also used pancake make up to lighten the other areas of his skin for an even coloration throughout the body. 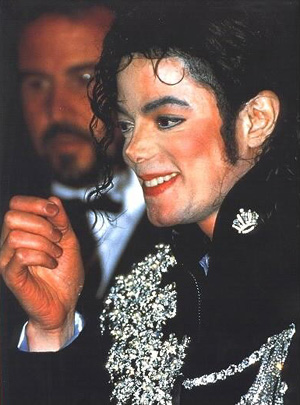 In February 1993, Michael Jackson himself revealed that he was suffering from the skin disease, and to create an even coverage, he did make use of large amounts of makeup on his skin. This became a major point in Jackson’s career, as his public disclosure on vitiligo shed light on this disease which was a relatively unknown condition at that time. One of the autopsy reports has also confirmed the fact that Michael Jackson indeed suffered from vitiligo and lupus. They inspected the skin under a microscope and found the results. Jackson’s skin did contain a reduced amount of melanocytes. Melanocytes are the cells that are responsible for giving color to the skin. Since these cells were found in very small quantities during the autopsy, they have confirmed that Michael Jackson had actually suffered from vitiligo, as one of its symptoms is reduced melanocytes. Thus, from the doctor’s and biographer’s reports, as well as by Michael Jackson’s own admission and from the results of the autopsy, we can conclude that Jackson did suffer from vitiligo and lupus for several years, until his death, which, incidentally, was not caused by either of these conditions.